The Row's elegant, luxurious designs speak for themselves - the label's pared-back Spring '19 presentation featured no more than a handful of carefully-curated racks and mannequins. 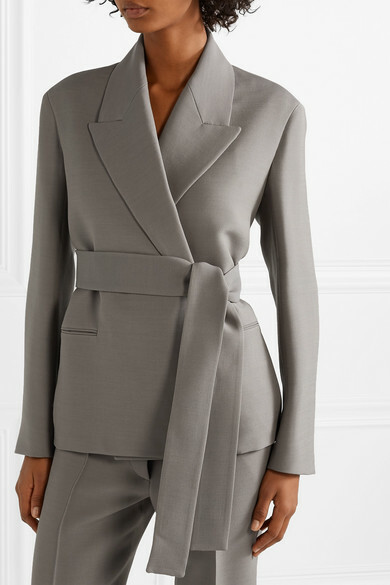 This 'Jenia' jacket is expertly tailored from a wool and silk-blend and has sharp lapels and lightly padded shoulders. 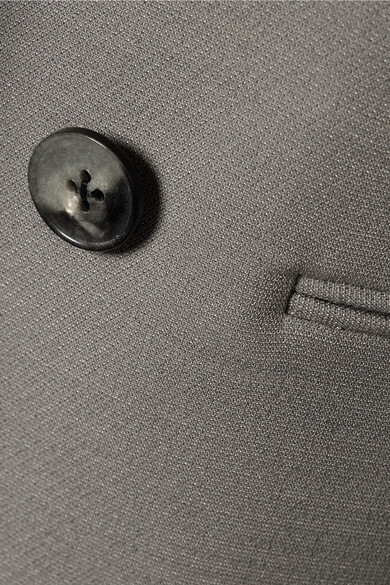 Knot the belt to cinch your waist. Shown here with: The Row Pants, The Row Shoulder bag, The Row Sandals, Sophie Buhai Earrings, Chan Luu Cuff.